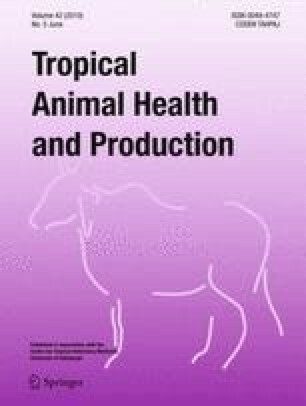 Enterococci and Salmonella were isolated from feces of chicken in intensive poultry farms and cattle which are maintained following traditional practices. Their resistance to different antibiotics was also determined. A total of 298 enterococcal isolates consisting of Enterococcus faecium (49.6%), Enterococcus durans (26.9%), Enterococcus hirea (11.9%), and Enterococcus faecalis (11.5%) were obtained. Among the enterococci, resistance to erythromycin (Ery), clindamicin (Cli), amoxicillin (Amo), ampicillin (Amp), and cephalothin (Cep) was high. Resistance to vancomycin (Van) was detected in all enterococcal species. Over 80% of the isolates showed multiple drug resistance. The most dominant patterns in poultry were Amo/Amp/Cep/Pen and Amo/Amp/Cep/Cli/Pen/Van. Among isolates from cattle, Amo/Amp/Cep/Cli/Ery/Pen/Van and Amo/Amp/Cli/Ery/Pen/Van constituted the most dominant multiple resistance patterns. A total of 51 Salmonella isolates were obtained from poultry (43/280) and cattle (8/450). About 70% of the isolates had varying resistance to the tested antibiotics. Multiple drug resistance was observed in over 30% of the Salmonella isolates. The most frequent resistance pattern was Amo/Amp/Cip/Gen/Str in cattle and Amo/Amp/Cep/Cip/Gen/Kan/Str in poultry. Enteroccoccal and Salmonella isolates showed multiple resistance to those antibiotics used in human and veterinary medicine. The high frequency of isolation of resistant enterococci is indicative of the wide dissemination of antibiotic resistant bacteria in the farm environment. The first author thanks Sida/SAREC for the financial support.